Halloween is coming! Here are six fun foods/decorations that you can create at home for your spooky night! 1. 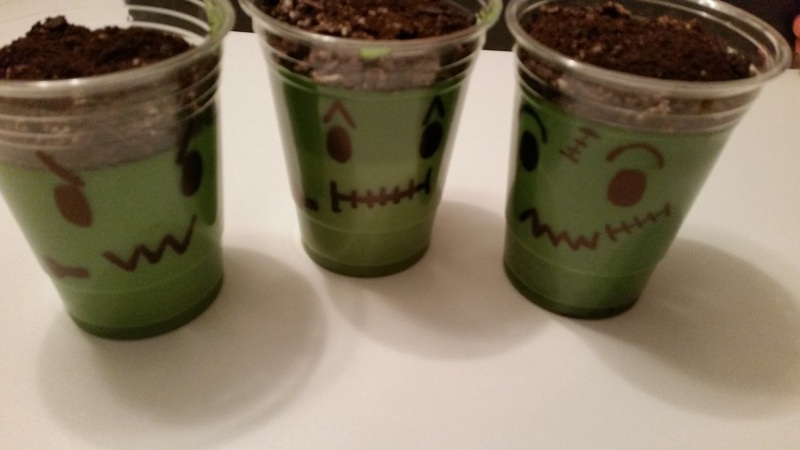 Frankencups-These cute little desserts are great for a Halloween party for all ages. Use one vanilla pudding packet (for 9oz. cups) with green food coloring to tint, draw Frankenstein faces on your plastic cups and finish them off by crushing up Oreo cookies on top. The picture below used 4 packages of vanilla pudding; it makes about six 14 oz. cups. 2. Spooky Eye Rolls- Perfect to hide in trees for some spooky fun! Cut two holes in a toilet paper roll for eyes. We recommend drawing them out first before cutting, this way you can get the design you want. Then, place a cracked glow stick inside, duct tape the outsides of the roll and away you go! You can place these little things in a tree or on your deck. 3. Milk Jug Ghosts- Save your milk jugs and this will save your yard from smashed pumpkins! Take a milk jug and draw any ghost face you wish on the face of the jug with a black permanent marker. Cut a partial hole from the other side and insert a string of white Christmas lights. You can make a single ghost or a string of ghosts using a longer set of lights. Just plug them in and voila! 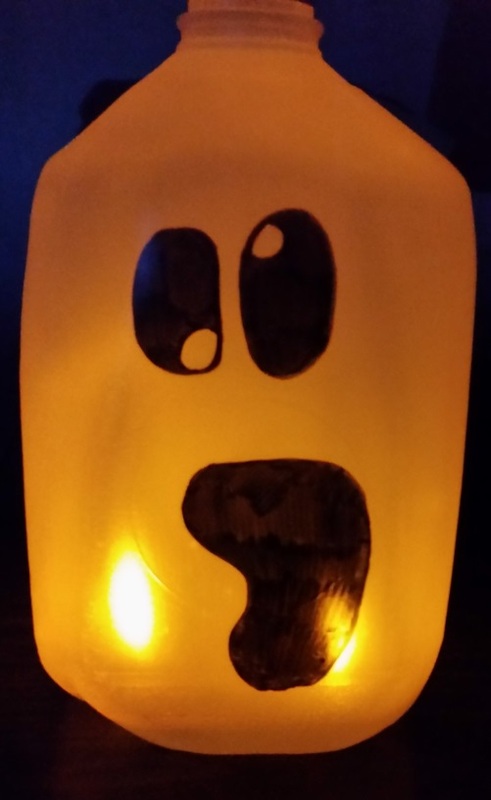 You can also use flameless tea lights from your local Dollar Store instead of Christmas lights; it will give your ghost an orange glow like the one below. 4. 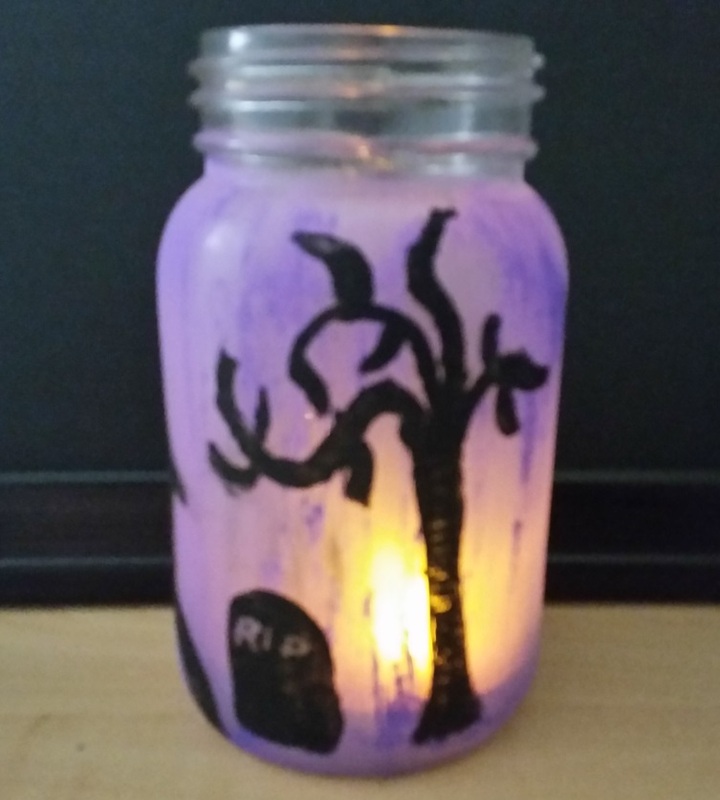 Painted Jar Luminaries- If you’re more artsy you can take an empty jar and paint it with your favourite Halloween images. Then light it up using a tea light candle or a flame-less tea light. This do-it-yourself project is great for a centerpiece or in a window! 5. Candy Corn Dessert Cup- Looking for something delicious this Halloween season without eating candy? This Candy Corn Dessert Cup is perfect for just that. 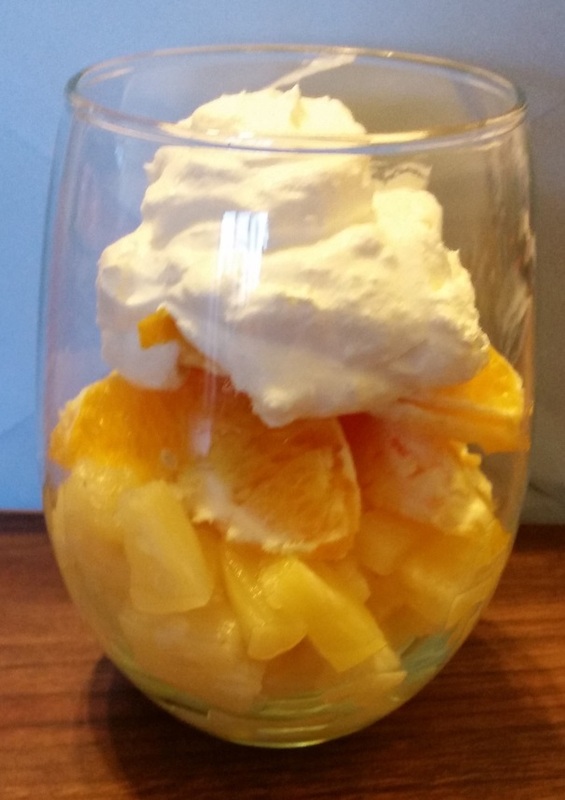 Take ¼ cup of canned pineapple bits, ¼ cup of fresh or canned mandarin oranges and top it off with a little bit of whip cream! 6. 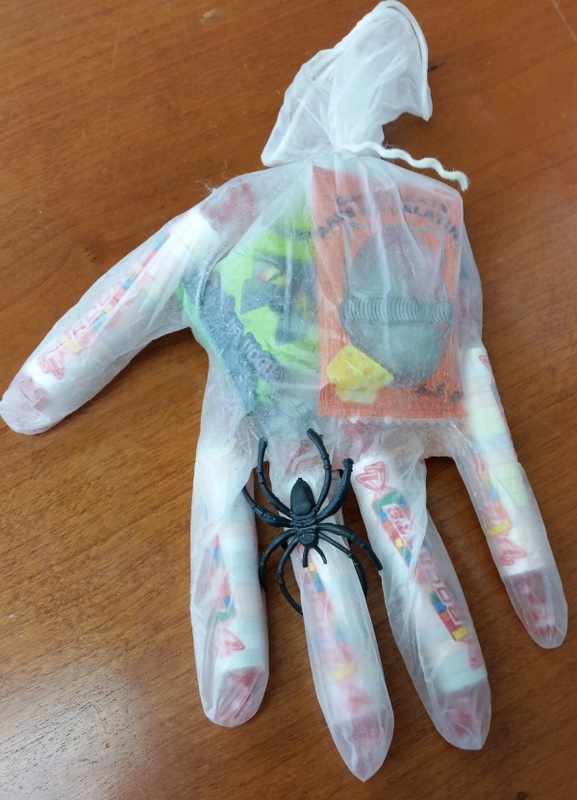 Halloween Hand Treat Bags- Are you the creative type and don’t like to just pass out candy? How about this? Take a latex glove and fill it with candies. It’s recommended to use Tootsie Rolls or Rockets for the fingers to keep them in shape. Finish it off by tying a ribbon or string around the base and placing a spider ring on one of the fingers. We hope you have a sweet, safe, and spooktacular Halloween! 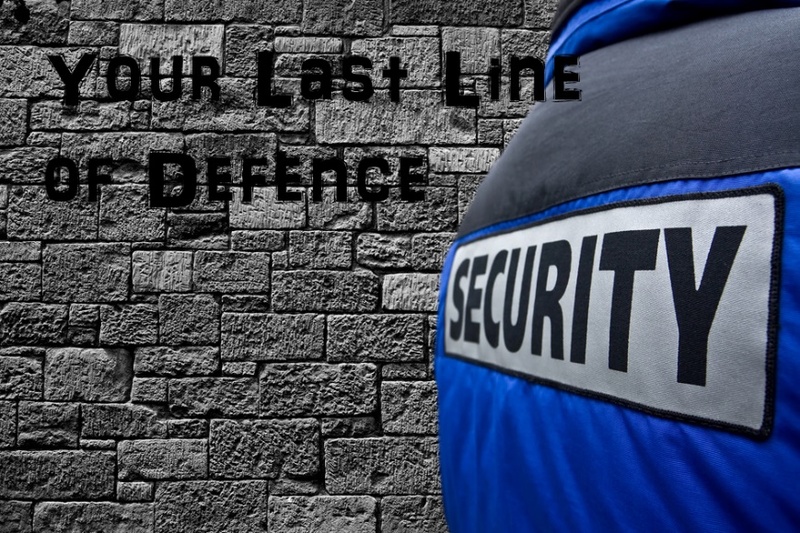 Don’t Let Your Last Line of Defence Be Your Cheapest! When you are storing goods at a self-storage facility the facility operator will have a security program in place that includes fences, controlled access gates, light and cameras. These security measures aren’t cheap, but they can only do so much to stop a thief. To truly stop a thief you need a secure lock. 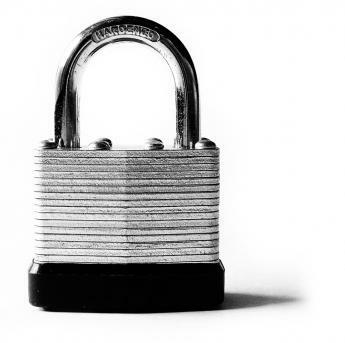 The most frequent lock used is the basic hardened steel padlock found at the big box and hardware stores. These locks are the least secure and easily broken with a bolt cutter. To keep costs down on these mass produced locks the manufacturer only produces a small number of key combinations. What this means is that the person buying the same lock right after you could have the exact same key. These locks are also easy to pick even for amateurs. This means that theft can go undetected until you re-enter your storage unit weeks or months later. This type of lock belongs on the yard shed, not on your self-storage unit.